New market data: The positive trend for the bioplastics industry remains stable – European Bioplastics e.V. 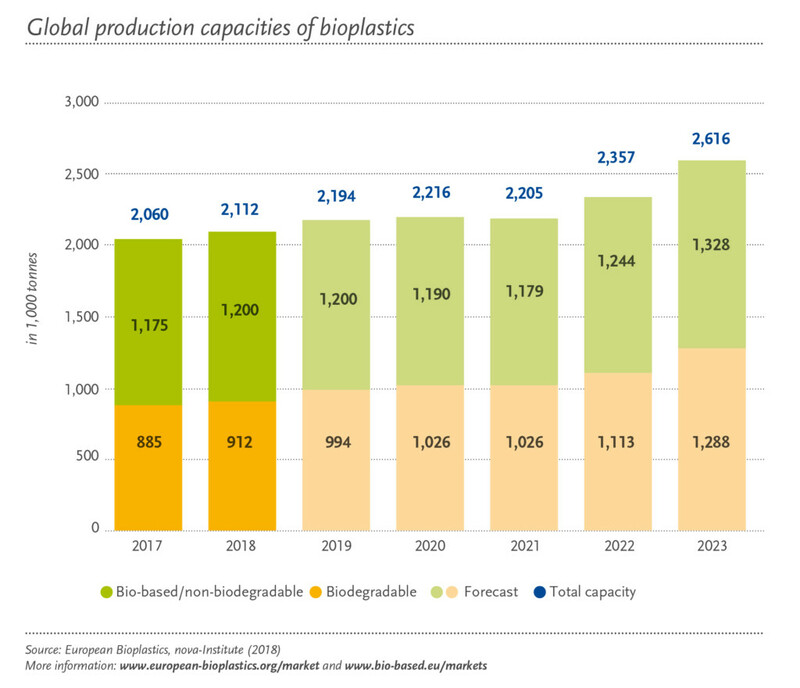 The global bioplastics production capacity is set to increase from around 2.1 million tonnes in 2018 to 2.6 million tonnes in 2023. Innovative biopolymers such as PLA (polylactic acid) and PHAs (polyhydroxyalkanoates) are driving this growth. PHAs are an important polymer family that has been in development for a while and that is entering the market at a larger commercial scale, with production capacities set to quadruple in the next five years. 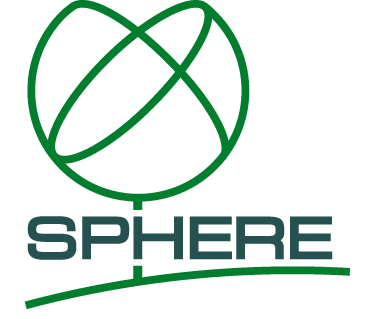 These polyesters are bio-based, biodegradable, and feature a wide array of physical and mechanical properties. Production capacities of PLA are set to double by 2023. PLA is a very versatile material that features excellent barrier properties. High-performance PLA grades are an ideal replacement for several conventional fossil-based plastics such as PS (polystyrene) and PP (polypropylene). Bio-based, non-biodegradable plastics, including the drop-in solutions bio-based PE (polyethylene) and bio-based PET (polyethylene terephthalate), as well as bio-based PA (polyamides), currently make up for around 50 percent (1 million tonnes) of the global bioplastics production capacities. The production of bio-based PE is predicted to continue to grow as new capacities are planned to come on line in Europe in the coming years. Intentions to increase production capacities for bio-based PET, however, have not been realised at the rate predicted in previous years. Instead, the focus has shifted to the development of PEF (polyethylene furanoate), a new polymer that is expected to enter the market in 2023. PEF is comparable to PET, but is fully bio-based and furthermore features superior barrier and thermal properties, making it an ideal material for beverage bottles. In 2023, bio-based polypropylene is expected to enter the market at commercial scale with a strong growth potential. Packaging remains the largest field of application for bioplastics with almost 65 percent (1.2 million tonnes) of the total bioplastics market in 2018. The data also confirms that bioplastics materials are already being used in many other sectors, including textiles, consumer goods and applications in the automotive and transport sector as well as the agriculture and horticulture sector. The land used to grow the renewable feedstock for the production of bioplastics is estimated to be 0.8 million hectares in 2018, accounting for less than 0.02 percent of the global agricultural area of 5 billion hectares. “Land use for bioplastics continuous to be insignificant” says Francois de Bie, Chairman of European Bioplastics, “97 percent of all arable land is used for pasture, feed and food.” Despite the market growth predicted in the next five years, the land use share for bioplastics will remain around 0.02 percent. This clearly shows that there is no competition between the renewable feedstock for food, feed, and the production of bioplastics.